Causing death by dangerous driving is one thing bereaved families have to consider when they are faced with an untimely and sudden loss of a loved one following a tragic road accident. As specialist fatal accident claims solicitors, we will help bereaved families claim back compensation against the driver’s insurance company (if there is one), if not through the Motor Insurer’s Bureau or an order by a Judge in Court. A driver or cyclist charged with the offence will be liable for a civil claim for compensation and criminal charges by the police that can lead to imprisonment. This guide updated for 2019 will include information on the legal definition of causing death by dangerous driving, some examples of the offence and which family members can claim compensation following the death of a loved one. It can be quite complex so if you are in need of any assistance please feel free to call us or why not engaged our live chat facility if we are online. When the death is due to a deliberate or reckless disregard to life, it is hard to take. Specialist fatal accident solicitors here to help bereaved families and offer FREE SUPPORT and legal advice. We will obtain for the family maximum compensation for road deaths in the UK. If the other driver has been charged with another offence by the police and you with to claim for compensation for causing death by careless driving please click on that link for further information. To understand the law you need to know the definition which the lawyers and the courts will use to see if the driver or cyclist in question can be convicted for the criminal offence. On the Crown Prosecution Service website it provides some useful information of what can constitute a claim for compensation for causing death by dangerous driving under section 1 of the Road Traffic Act 1988 (RTA 1988). By “dangerous” we mean within the meaning of section 2A of the RTA 1988, i.e. The criminal sanction is 14 years’ imprisonment, by virtue of the Criminal Justice Act 2003, and/or an unlimited fine. If the criminal driving is too remote from the later event to have caused the death, the Judge may dismiss the claim. See the Crown Prosecution Service website for more details. As fatal accident solicitors we are often asked what is the difference between the driver being charged with death by careless driving and death by dangerous driving. The main difference it that ‘careless driving’ of a driving standard below that of a ‘prudent motorist’ with no obligation for the CPS to establish any actual or risk of injury giving rise to death. But for a charge, the standard has be be ‘far below’ and that there is an obvious risk that by the driver’s actions, there is a risk that personal injury or death may result by his or her actions. Causing Death by Careless driving or Inconsiderate Driving:(Section 2B of the Road Traffic Act 1988, amended by the Road Safety Act 2006, s. 20). • Driving too close to another vehicle. • Driving through a red light by mistake. • Overtaking on the inside. • Turning in to path of another vehicle. • Being avoidably distracted by the radio, cigarette etc. 2. Causing Death by Dangerous Driving: (Section 1 of the Road Traffic Act 1988). • Racing / Going too fast / driving too aggressively. • Driving when knowing there is a serious fault with the vehicle. • Being dangerously distracted by a map / phone / radio etc. 3. Causing death by careless driving when under the influence of drink or drugs: (Section 3A Road Traffic Act (RTA) 1988). 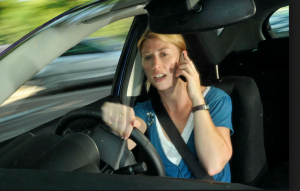 Possible actions that you can be charged for by using a mobile phone behind the wheel where you can be convicted for a serious criminal offence. With the advent of using mobile phones behind the wheel there are increasing number of charges brought against drivers for serious offences for dangerous driving and careless driving. In fact, for many driving offences, the one of the first things the police will check a driver’s mobile phone. the list is now endless with smart phones. For the purposes of this website, there is no need to go into detail about what constitutes “dangerous driving” as it is very much dependent upon individual facts and moreover a common sense. 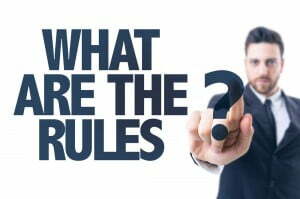 Some guidance can be obtained from the Crown Protection Service, see more below on this page. In a Civil Claim for compensation, specialist fatal accident claims solicitors like us will represent the bereaved family (usually the next of kin) to make a compensation claim against the driver or specifically his or her vehicle insurance company. For compensation claims the legal system will commence in the following courts (most cases will be heard in the County Court). If a party wishes to appeal any decision of a judge in the county court the appellant may appeal to the higher courts set out below. Supreme Court (Highest Appeal Court in England & Wales). The general distinction between the two Statute Laws are that the Fatal Accidents Act 1976 are used by the dependents of the deceased, that is, in laypersons’ terms, the ‘next of kin’ usually the widow or widower, the survivor in a civil partnership or other ‘dependents of the deceased which can include children and a wider network of family members. But a dependent of the deceased may also be an unmarried partner who was living with deceased for at least two years prior to death or a child of the deceased. The list of dependents can be wide see further below on who can be a dependent. Who Can be a Dependent of the Deceased? (g) any person who is, or is the issue of, a brother, sister, uncle or aunt of the deceased. (4) The reference to the former wife or husband of the deceased in subsection (3)(a) above includes a reference to a person whose marriage to the deceased has been annulled or declared void as well as a person whose marriage to the deceased has been dissolved. The bereavement award is what the law values the life of the deceased if killed instantly in a road traffic fatality, the current amount is a pitiful £12,980. But this award is limited to only a particular class of close family members. For more information on please see here claiming a bereavement award. A dependent will usually claim compensation for financial support that was provided pre-death by the deceased. It may also include non-financial support such as caring for a surviving partner who was ill or for child-minding. The compensation for a dependent can be significant especially if the deceased was working and the bereaved family were very much dependent upon the deceased’s income prior to death. What if the Driver Has No Motor Insurance? This often happens especially where the driver is young and drives the vehicle without the owner’s consent or permission. Another example is where the driver steals the vehicle. The law relation to motor insurance can be very complex (even for lawyers) but the following information is simplified to understand the point. Where a vehicle has insurance but the driver does not have permission or it was stolen to drive the vehicle, the insurance company that insured the vehicle will, under the rules of the Motor Insurance Bureau, (MIB) be the responsible insurer and pay out to the bereaved family dependents any compensation that is due to the family under the Fatal Accidents Act 1976 in particular. If the vehicle and/or driver could not be traced then a claim can be made, again via the MIB for compensation for causing death by dangerous driving under the uninsured loss agreement. What is the Coroner’s Court? Families will hear of a specialist court called ‘The Coroner’s Court’ is inquisitorial to investigate the possible causes of death that may be suspicions or death following a crime or criminal activity such as the deceased being killed due to dangerous driving. The judge who is called a ‘Coroner’ will hold an ‘Inquest’ into the cause of death. The Coroner has wide-raging powers can can order various witnesses and the Police to attend court to give evidence. A Coroner’s inquest is fact finding only, it’s function is not to see who was to blame, although the facts will often lead to the same conclusion. For more information see further What Happens at an Inquest Hearing? and What Happens at an Inquest Hearing? Consuming substantial amounts of alcohol or drugs leading to gross impairment. Substantial risk of danger to life. Avoidable distraction such as using your phone, reading, composing a text message over a period of time. Driving under the influence of alcohol or drugs, failing to take prescribed medication or as a result of a known medical condition. Significant risk of danger to life. The third charge and less serious compared to the other two charges but nevertheless, the end result is still the same. Driving above the speed limit/at a speed that is inappropriate for the prevailing conditions. Driving when knowingly deprived of adequate sleep or rest or knowing that the vehicle has a dangerous defect or is poorly maintained or is dangerously leaded. A brief but obvious danger arising from a seriously dangerous manoeuvre. Failing to have proper regard to vulnerable road users. Are You Affected by the Death of a Loved One Due to Dangerous Driving? You are not alone. We are here to help you every step of the way. Our philosophy is the same (see our quote below). We help you get to the truth, support you through the Courts and Inquest hearing and claim any compensation for the family left behind. 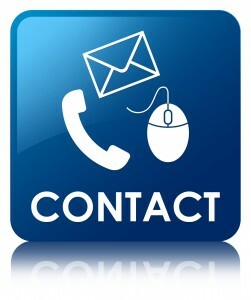 Please contact us, even if you are a concerned friend of the bereaved family call us now. We will be pleased to hear from you. Our advice can be undertaken by our no win, no fee, solicitors. Whist we are civil claim solicitors, claiming compensation for death by dangerous driving offences, nevertheless it must be remembered that the offence comes under Criminal Law which means there are serious consequences as a conviction can result in imprisonment. The criminal law is enforced by the Police who gather the evidence sufficient for the driver to be charged with the offence. Once the Police have the necessary evidence, the file is then passed to the Crown Prosecution Service who will then present the case to the Judge and Jury. There is advice if you are a victim of a criminal offence or a witness, in both circumstances it can be a very emotional and stressful time; support for victims and witnesses. However only minor criminal offences are taken to the Magistrates Court, and therefore causing death by dangerous driving offence will be tried in the Crown Court before a Judge and a Jury. The Magistrates Court has jurisdiction to deal with charges, but they have limited authority to pass a maximum term of imprisonment of only 6 months. The Magistrates can, if they consider this sentence too short for the crime, refer the case up to the Crown Court for sentencing. Why Not a Life Sentence for Killing Someone? The punishment should fit the crime. But you cannot get more serious than causing the death of another person(s). However by being charged with the offence of dangerous driving is due to an accident or mistake rather than an intention to kill. An intention to kill someone is with what lawyers call ‘malice aforethought‘ a premeditated or intentional act to murder a person. So the easiest example is a criminal who plans weeks or months ahead to kill someone. The guilty mind is present and the execution is the act of killing i.e. stabbing or shooting etc. That is murder and thus a life sentence is appropriate. The current phenomena of using mobile phones behind the wheel is a prime example of a driver being charged with death by dangerous driving. The CPS can construe the use of a mobile phone as a serious criminal offence, and if the sue of a phone causes the death of another road user or pedestrian you could be imprisoned for up to 14 years.